Misinformation leads to misconceptions. And with time and enough spreading, they turn into full-blown myths. And this is very true with the German Shepherd dog. There are lots of myths floating around out there about the entire breed of German Shepherds. We’re not sure how they start. Often times, people may have a bad experience with one particular dog and use that to paint an entire breed in an ugly colour. Let’s set the record straight. 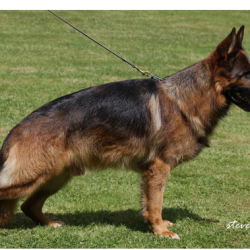 As German Shepherd breeders, we are experts in this area. So we’re here to tell you that these 4 things are absolutely nothing more than ugly myths. A purebred GSD is one of the most intelligent breeds you will ever see. In fact, They’ve been ranked the 3rd smartest breed. To be considered highly intelligent, a given breed has to understand a new command after 5 repetitions. They also have to obey the first command given to them 95% of the time. They are also the go-to and most common breed for police dogs, and relied upon in the most stressful situations. This is a really unfair blanket statement that gets applied to a lot of breeds. 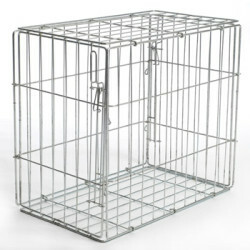 Any animal that is not properly trained or brought up in a safe environment can be dangerous. But a properly trained GSD is very safe. In fact, the German Shepherd is one of the best dogs you can have around small children. Families love them! Again, this comes down to how a dog is raised and trained. 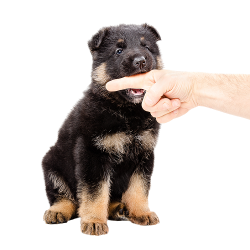 Socialization with other dogs is crucial to any German Shepherd’s training. If they’re introduced to other dogs early on, they become accustomed to having them around. But any breed that isn’t regularly socialized or around other dogs may not know how to react and may be defensive or territorial. Again, this dog is very smart and emotionally intuitive. Once it’s welcomed into a family, they are acutely aware that they belong to a family now. They grow extremely attached and loyal to their family, and vice versa. 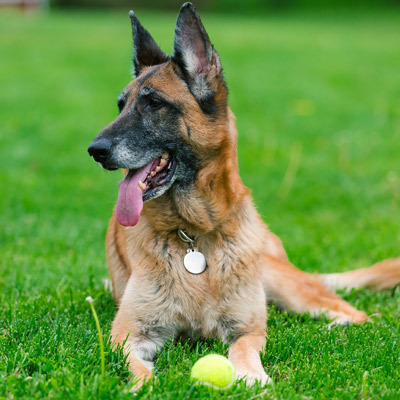 Hopefully, this article has put your mind at ease, if you were thinking about getting a GSD. 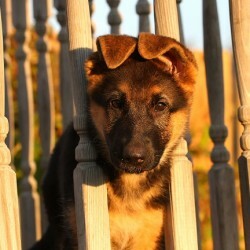 We will add, that it is best to get your dog from an experienced and accredited German Shepherd breeder.